Order your own copy of The Wizard's Quest at your local retailer or online through our website today! Fantasy Flight Games is proud to announce The Wizard’s Quest Custom Scenario Kit and The Woodland Realm Custom Scenario Kit for The Lord of the Rings: The Card Game (first debuted at Gen Con 2018 and the 2018 Fellowship Event), coming soon to your local retailer and online through our webstore! In The Wizard’s Quest, the scenario that was featured earlier this year at Gen Con 2018, you have received a special mission from the White Council. 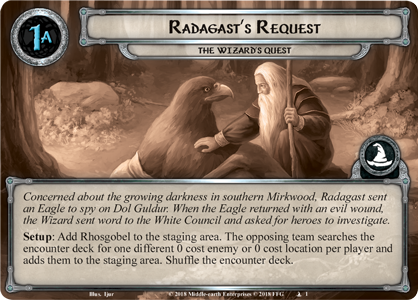 Concerned about the growing darkness in southern Mirkwood, Radagast the Brown sent an Eagle to spy on Dol Goldur, but when the noble creature returned, it bore an evil wound. Radagast immediately sent word to the Council and now the task falls to you to investigate. 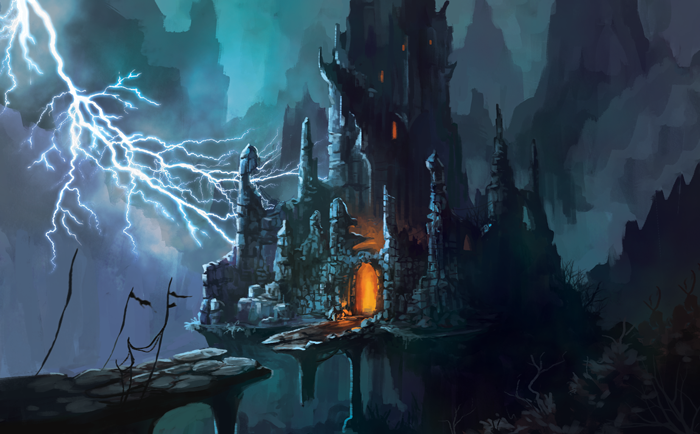 The haunted fortress has been a source of dark power and death for many years. Its very presence has poisoned the Greenwood, but this sudden surge is an additional cause for concern. Whatever has taken up residence in the evil halls must have great power, and your heroes must proceed with caution. 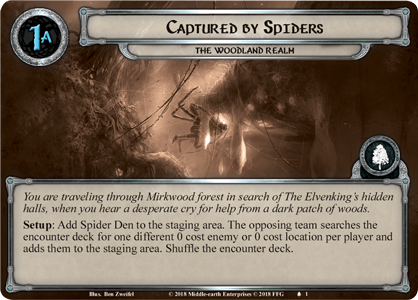 Then, in the 2018 Fellowship Event kit, The Woodland Realm, you are traveling through Mirkwood in search of the Elvenking’s hidden halls, when you hear a desperate cry for help from a dark patch of woods. You know that this area of the forest is haunted by spiders and dark creatures, and straying even a few steps from the path can mean that you'd be lost in the forest forever, but what heroes would you be if you ignored such a plea? Could you even give yourself that title? With little choice, you must draw your sword, steel your nerve, and move deeper into the deadly forest. 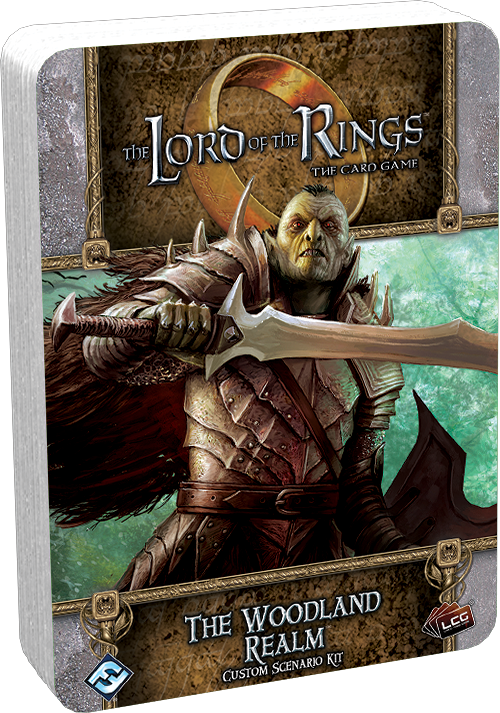 Unlike other Adventure Packs for The Lord of the Rings: The Card Game, neither The Wizard’s Quest nor The Woodland Realm present you with a linear quest for your heroes to succeed or fail at. Rather, these packs give you everything you need to build your own custom adventures. 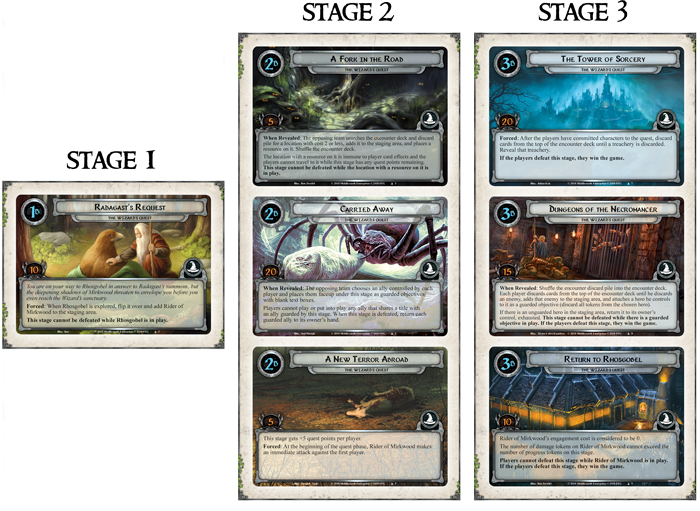 These kits are also fully compatible, allowing you to mix and match encounter cards to create a challenge worthy of your team. 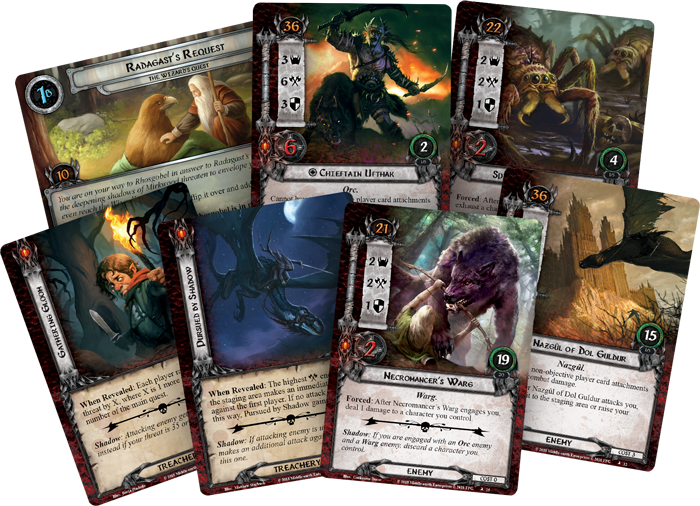 Once you have filled your enemy’s ranks with the dark creatures that thrive beneath the trees in the shadow of Dol Guldur, you can increase the challenge with the competitive Race Against the Shadow play mode for two or four players. Both The Wizard’s Quest and The Woodland Realm are designed to encourage competitive play between either two lone adventurers or two pairs of heroes. But the challenge begins before the teams even take their first steps on a quest, as Race Against the Shadow requires teams to create a custom scenario and inflict it on your opponents! 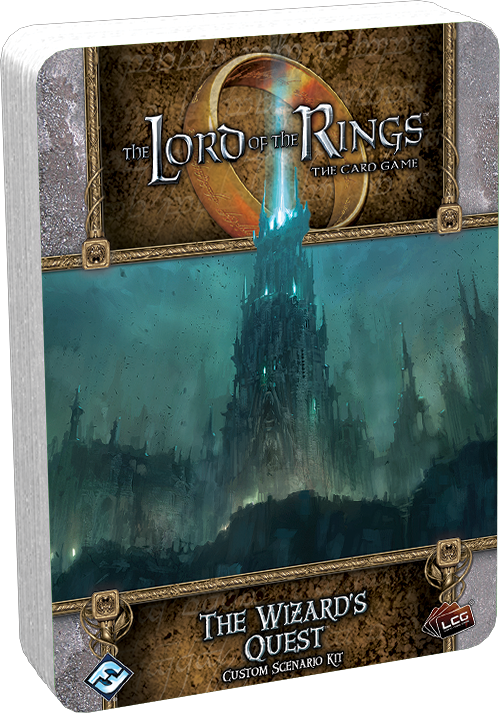 A two-player game lets players test their best solo decks against their opponent’s custom scenario, while a four-player game maintains the cooperative spirit of The Lord of the Rings: The Card Game by having teammates work together to outrace the opposing team and finish their scenario first! You have stared down the agents of Sauron with steadfast resolve, but will you be able to stand against your friends? Do not be afraid to stray from the path. Forge your own road through Mirkwood, bring home the adventures of Gen Con 2018 and the 2018 Fellowship Event, and become the master of your tale! Pre-order your copy of The Wizard’s Quest (uMEC75) and The Woodland Realm (uMEC76) at your local retailer today or on the Fantasy Flight Games website here!